Coral reefs are one of Earth’s most productive ecosystems. Rocky reefs can form barrier islands that protect the mainland from storms and destructive waves. They are home to a third of all the fish species in the ocean, even though they make up a teeny tiny portion (less than 0.25%) of our ocean. The fish and other organisms that call reefs home provide food for millions of people. They are also fragile, which means that marine debris can have a huge impact on these ecosystems. How exactly does marine debris affect these living geologic formations? That is something scientists around the world are working hard to figure out. Here’s what we know so far. Lost fishing gear is a threat. Hard corals, like the kind that form reefs, can become entangled in abandoned or lost fishing nets. As floating nets become snagged on branches, it can break or scratch the coral, which can leave big scars on the reef. Other types of fishing gear can cause damage too. In a 2009 study, lobster traps were placed on reef sites off the coast of Florida to see how much damage was caused by trap movement. Due to sustained winds, the movement of the trap caused the delicate coral to be scarred, fragmented, and dislodged. Vessels that are lost or abandoned also damage coral reefs. They can directly damage the reef during the initial impact, or as waves and storms move the vessels around. The release of fuel, paints, metals, and other harmful chemicals from these wrecks is also dangerous to the tiny coral polyps that form the reef. A ship grounding on a coral reef at Rose Atoll in American Samoa changed the habitat there. After the wreck, there was a rapid overgrowth of cyanobacteria, an opportunistic type of algae. Investigators believe that corroding metal from the shipwreck fed this algae and attracted hordes of algae-eating fishes for at least 13 years after the initial impact. 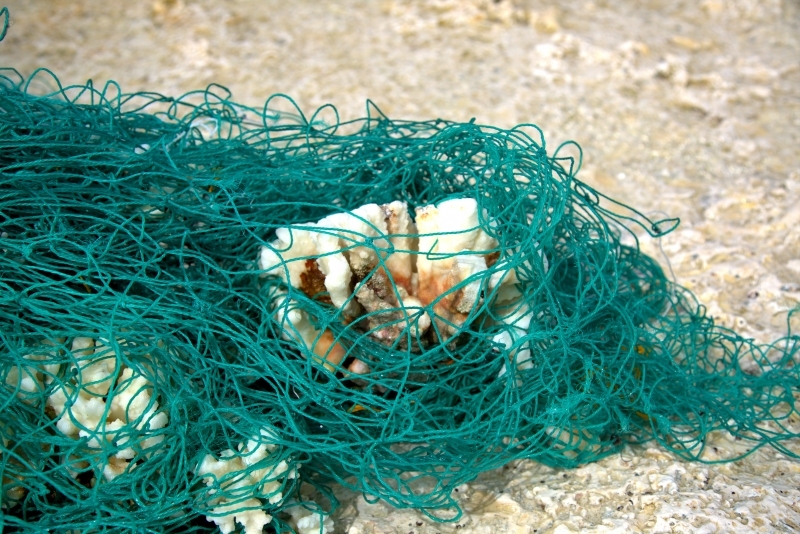 It isn’t just boats and fishing gear that end up on reefs, debris of all kinds can be found in these ecosystems. 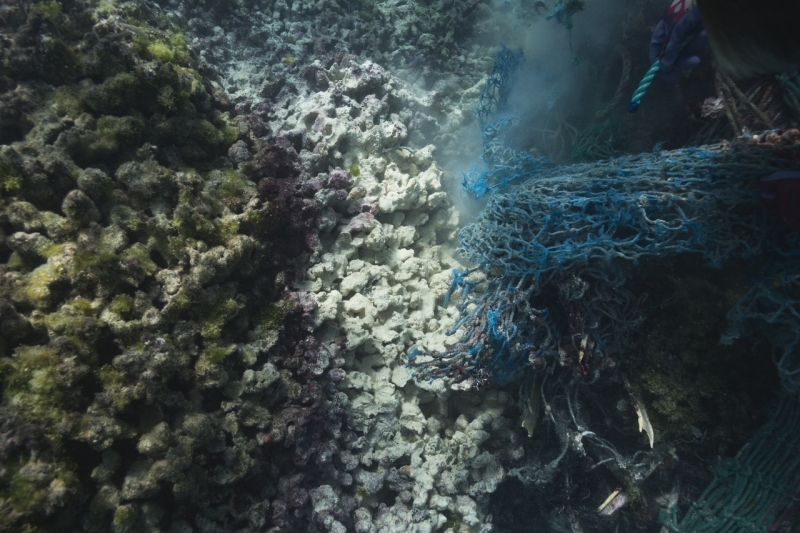 Building materials, plastics, aluminum cans, tires, and even disposable diapers were found in the coral habitat of Majuro Atoll in the remote Marshall Islands. 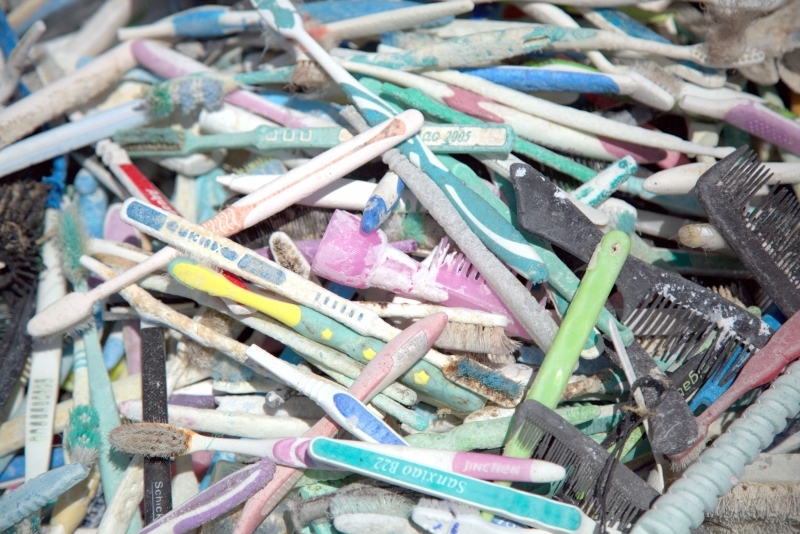 During a recent NOAA mission to the remote and uninhabited Northwestern Hawaiian Islands, the marine debris team found toothbrushes, laundry baskets, plastic bottles, and other trash on shorelines. Due to ocean currents, all this debris could be from people like you, even if you live nowhere near a coral reef. For instance, debris from from across the Pacific can float on ocean currents all the way to the Hawaiian Islands. You can do your part to help coral reefs by reducing the amount of trash, especially plastic trash, you produce, disposing of fishing gear properly, and participating in cleanups. Remember your “4Rs” (reduce, reuse, recycle, refuse) to minimize your contribution to marine debris. Here at the Marine Debris Program, we try to remove as much debris as we can from these incredible ecosystems. To learn more about our projects that benefit coral reefs, view our blog on the recent mission to the Northwestern Hawaiian Islands and come back to our blog on Thursday to check out our projects in Florida and the Caribbean. If this pollution of the oceans continues our marine life will perish and will not be fit for consumption because of plastics in it. Currently a dead whale has been washed on shore whose body was full of plastics and I am sure there is much marine life during being strangled by draw nets and fish lines as well. Some surfers have decided to do something about it and are picking up plastics on beaches and in water then making bracelets to sell from a one pound of plastic to increase their operation. However these surfers are only a few and all people who love the ocean and want to see plastics and debris gone should get involved.